Melbourne, Florida…For a century, The Henegar Center has been South Brevard’s destination for education and culture. Come help us celebrate this important milestone at the HENEGAR BUILDING 100-YEAR ANNIVERSARY GALA, being held 6:30 to 10:00 p.m. Friday, March 29 at The Henegar, Downtown Melbourne, Florida. The HENEGAR BUILDING 100-YEAR ANNIVERSARY GALA includes special centennial performances, live entertainment throughout the building, a main stage production, heritage history displays, live and silent auctions, sumptuous buffets, complimentary drinks, and a cash bar. Patrons purchasing VIP tickets will be snuck into a VIP Speakeasy Lounge. One hundred years ago, in 1919, ground was broken for the school building that later became the Ruth Henegar Elementary School. Ruth Henegar was a principal at the school who was much loved. The school was named after her in 1963. In 1991, with the help of Tony award-winning Broadway stage and scenic legend Peter Feller, the Brevard Regional Arts Group turned the building into a theater, designed to be the home of Indian River Players, which changed its name to Melbourne Civic Theater upon completion of the renovation. Melbourne Civic Theater moved out of the building, and The Henegar Center for the Arts took over the space. It has grown over the years to become an important, storied place for theater lovers, community actors and theater artists, both amateur and professional. Currently, productions are in the works for “Tarzan” (March 8 to 24), “Sondheim on Sondheim,” live Sondheim music onstage accompanied by Sondheim himself on film (March 30-31), “Red” (April 19 to 28) and “West Side Story” (May 3 to 19). Centennial Sponsorships are available with a series of exceptional sponsorship opportunities, starting at $250 and going up to $10,000. We invite everyone to take part in and enjoy the HENEGAR BUILDING 100-YEAR ANNIVERSARY GALA. Doors to the Gala open 6:30 p.m., Friday, March 29. Tickets are $100 for general admission and $150 for VIP admission. The VIP premium package includes admittance to the exclusive VIP Speakeasy Lounge, premium buffet, three drinks and VIP seating at the Main Stage Presentation. 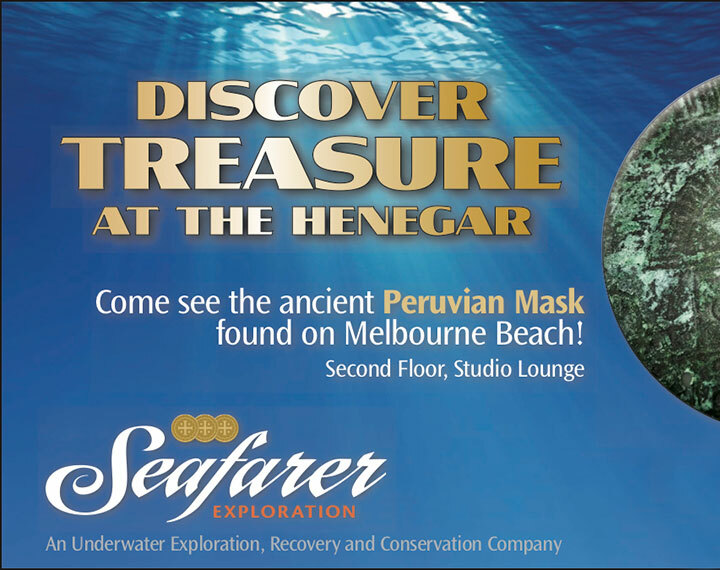 The Henegar is at 625 E. New Haven Avenue, Melbourne, Florida. Visit the Box Office, call 321-723-8698 or go to www.henegar.org/100 Year Gala for more information and tickets. The Henegar’s e-newsletter will also provide the latest information about the Centennial. Call the Box Office to subscribe, 321-723-8698. Connect with us to stay up-to-date throughout the year by following us on Facebook, Twitter, and Instagram. Join the conversation by using the official Centennial year hashtag, #Henegar100, #HenegarGala.